Why is it, that millions and millions of people around the world hate going to work? Globally, only 13% of employees are ‘engaged’ at work, according to Gallup. That means 87% of us are ‘not engaged’ – we’re turning up at work to do only what’s expected of us, nothing more, and often less. It seems that we’re all actually making a ‘dying’ at work instead of a ‘living’. 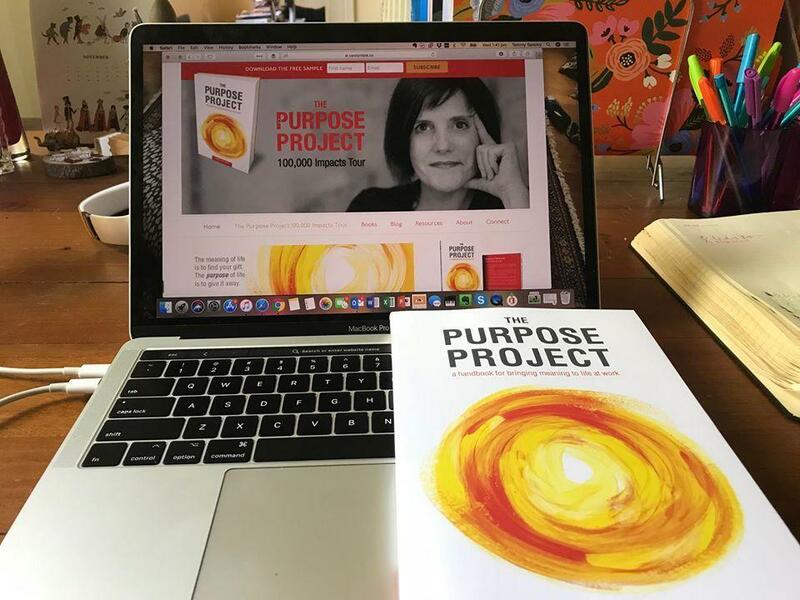 A powerful company purpose gives people the intrinsic motivation required to turn up to work each day – it goes beyond their own selfish existence so they won’t need to rely on extrinsic motivators (carrots and sticks) to turn up at work. However, the real power lies in leaders empowering their people to bring their own why to work (BYO Purpose). It’s at the intersection of a powerful company purpose and individual purpose that cultures can be healed. Most of us are waiting for our leaders to make our work-lives happy. We act like victims and blame our manager and leaders for our unhappiness. We don’t take responsibility for bringing our own why to work. Instead, we go looking for another job in another company or we get blinded by the lights of entrepreneurship. There’s a lot of hype in the market that if we don’t like our job, we can just flee the 9 to 5 drudgery and become an entrepreneur. But, the world doesn’t need more corporate escapees and starting a business is risky business. We need more people doing the personal work on themselves to discover what really lights them up so they can bring it to work, starting right where they are. In my experience, there’s literally no personal passion that can’t be integrated into someone’s daily work. 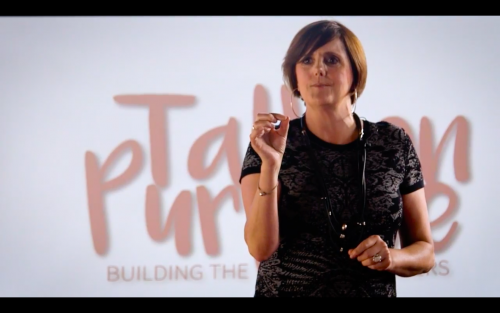 Recently I was speaking to a group of people at one of Australia’s largest corporates. One man said to me, “Our company has no purpose beyond getting me to be productive so we can increase our profits. I’m just a robot to them. How do I even get started on this purpose thing?” My advice to him was to get insatiably curious and explore his latent creative abilities outside work. I suggested that he create his own ‘out-of-hours’ Purpose Project and then get ingenious about bringing it to his day-job. I’m on a mission to get workers to take responsibility for bringing their own why to work. I want leaders to find and empower the Purpose Activists in their company so that we can create a world movement towards meaning in the workplace. I believe that purpose is the solution to the culture crisis in companies. It’s at the epicentre of your strategy to retain the best people, attract new talent, create loyal customers, break-down silo’s and make your workplace more human. And finally, it’s the driver of performance and profitability. 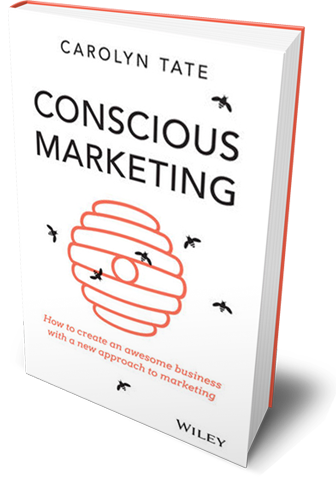 Sadly, many companies have fallen into the trap of ‘purpose-washing’. They employ an expensive consulting firm or ad agency who will engage the executive team to come up with a clever new purpose statement that will quickly find its way onto the company website and into a glossy brochure. 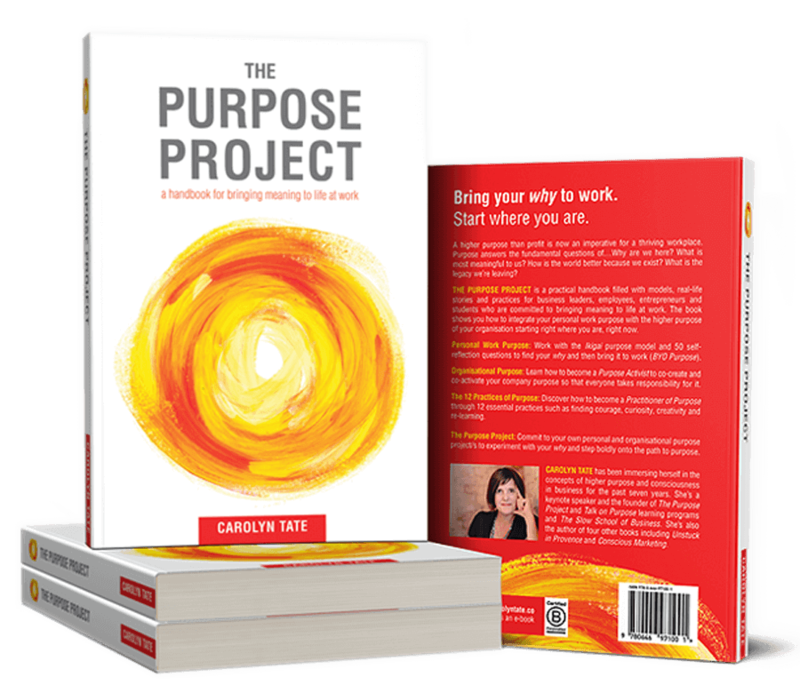 The deep inner work of activating this purpose won’t be done and the ‘purpose promise’ won’t end up matching the ‘purpose experience’. In my view, this approach can actually do more harm than good. We need to think about purpose in a totally new way. Purpose has no hierarchy. It’s everyone’s responsibility to take a hold of. Meaning is fast becoming the new money in our world. We have an incredible global opportunity right now to bring more meaning to the workplace. Let’s not waste it. Our kids depend on it!